An efficient, low cost storage solution that has the flexibility to scale with demand is something all organizations should be striving to achieve. No-one should be paying more than they need to for their storage infrastructure and its ongoing operation and maintenance, regardless of their performance requirements. It is with this in mind that StorMagic and Lenovo have partnered to provide a range of solutions for the cost-conscious storage architect that don’t compromise on performance and enable hyperconvergence. 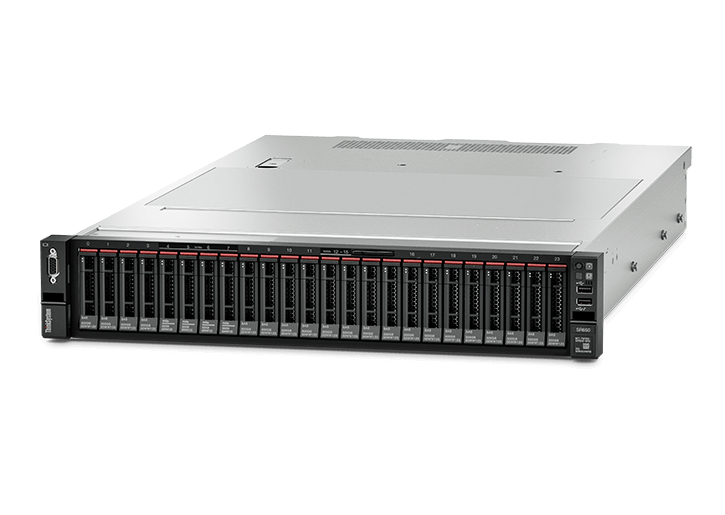 This data sheet details these solutions which leverage Lenovo’s ThinkSystem range of rack servers alongside StorMagic SvSAN. The partnership between StorMagic and Lenovo covers all of Lenovo’s ThinkSystem rack servers, however this data sheet deals with the three most commonly deployed models. The joint solution combines Lenovo’s renowned server performance and reliability with StorMagic SvSAN’s storage high availability and simplicity. The two deliver a full solution which provides low-cost, lightweight storage and is therefore ideally suited for edge computing and remote site locations, or SME data center deployments. ThinkSystem servers are purpose-built to deliver performance, security and agility in an open environment that won’t limit options in future. With developments in IoT and artificial intelligence likely to increase the strain on IT infrastructure outside of the data center, organizations need hardware that can easily meet new challenges. Lenovo rack servers offer the unmatched value, flexibility and industry-leading efficiency to meet mission-critical demands with legendary quality and reliability. Explore Lenovo’s ThinkSystem range in more detail on the Lenovo website. SvSAN is the virtual SAN that makes the complex world of virtualized storage simple. Perfect for edge computing environments, the technology is based on software-defined storage that eliminates the need for physical SANs. SvSAN is designed to be very simple to install and manage whether deployed as part of a hyperconverged solution or as a storage-only target for any Lenovo server. SvSAN has very low system hardware requirements, centralized management/deployment and an incredibly lightweight witness that tolerates low bandwidth, high latency links and is completely separate from the server cluster. The witness allows for the creation of genuine 2-node highly available clusters, or 3-node clusters that can withstand an offline server due to either failure or maintenance and still maintain high availability. SvSAN is licensed based on the usable VSA (Virtual Storage Appliance) capacity. License tiers are set at 2TB, 6TB, 12TB and Unlimited TB. SvSAN licenses are perpetual – after a single payment they can be used forever. The only ongoing costs are for support renewal payments. Furthermore, there are two versions of SvSAN available – Standard Edition and Advanced Edition. The Standard Edition provides all of the features necessary to deliver and manage highly available shared storage, while the Advanced Edition includes additional features such as Data Encryption and performance-enhancing Predictive Storage Caching. The full list of features available in each version are illustrated below. Further details about SvSAN’s features, capabilities and requirements can be found in the product data sheet and technical overview white paper. The three server models detailed in the table below are the most frequently deployed with SvSAN from the Lenovo ThinkSystem range. However, SvSAN is compatible with all Lenovo servers, giving the storage architect a huge range of possibilities. business. 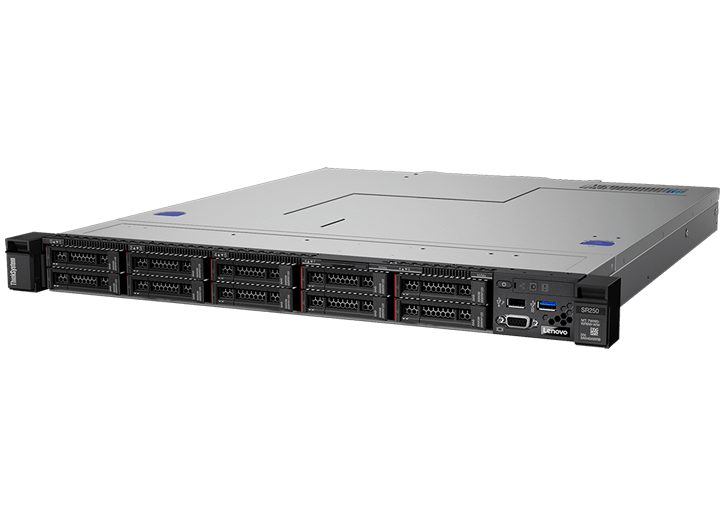 The SR250 boasts a high price performance ratio with a combination of high-processing capability and dependability with next-generation Intel® Xeon® E-2100 processors and support for an array of storage configurations. 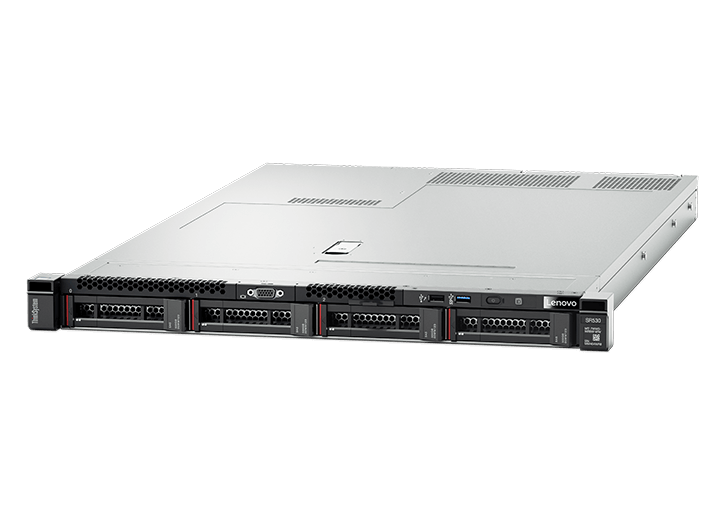 Lenovo ThinkSystem SR530 is an ideal 2-socket 1U rack server for small businesses up to large enterprises that need industry-leading reliability, management, and security, as well as cost optimized performance and flexibility for future growth. For medium to large enterprises, and managed and cloud service providers, Lenovo ThinkSystem SR650 is the optimum 2U, two-socket server—the most widely used server type worldwide. Example deployment Remote healthcare clinics with small hardware requirements but a need for highly available patient care applications and secure storage for patient data. Manufacturing plant for which plant operations, machine data collection, and IoT devices require high availability and real-time processing. Retail customer with many in-store applications such as point of sale, inventory tracking , customer analytics, and video surveillance. *1.5TB at GA; 128GB DIMMs available in the near future. Available prior to GA via special bid. Operating systems supported Microsoft, Red Hat, SUSE, and VMware ESXi Microsoft Windows Server, SLES, RHEL, VMware vSphere. Visit lenovopress.com/osig for details. Microsoft Windows Server, Red Hat Enterprise Linux, SUSE Linux Enterprise Server, VMware vSphere. Visit lenovopress.com/osig for details. There is a wealth of information available on the ThinkSystem server range on the Lenovo website, including individual data sheets for each server model. Likewise, StorMagic has a library of documentation on SvSAN, including installation guides, white papers and data sheets. StorMagic SvSAN is available on Lenovo’s worldwide price list, ensuring any Lenovo salesperson or reseller can create a server configuration with SvSAN included. Combining Lenovo servers with SvSAN software has never been easier. Furthermore, the Lenovo team within StorMagic are ready to provide information and assistance on the partnership and its possibilities. Simply email [email protected] to reach out.